KANCHANABURI, THAILAND (REUTERS) - Lam Duan, a 65-year-old, blind Thai elephant is enjoying her lunch, listening to Silent Night being played on a piano. 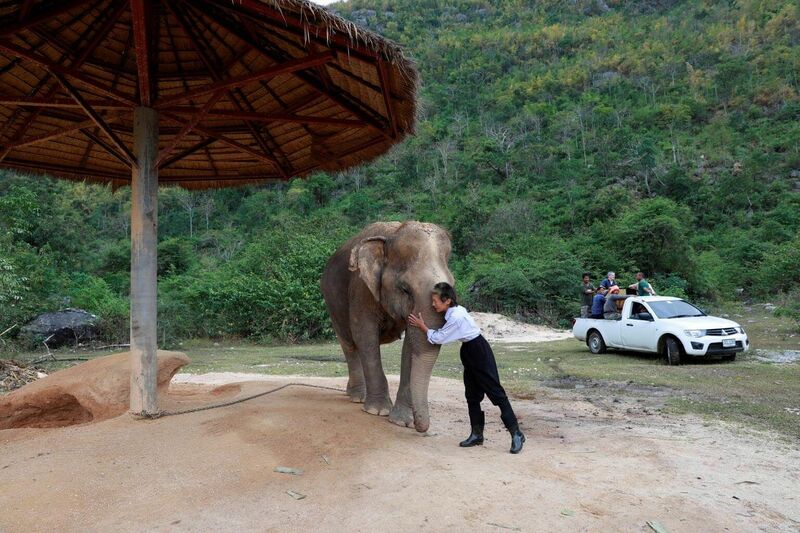 For eight years, pachyderms like Lam Duan - old, overworked and sometimes disabled - have been rehabilitated with music at Elephants World, a retirement sanctuary for the animals in the western Thai province of Kanchanaburi. Almost 80 per cent of about 3,000 elephants at tourist venues in Thailand, Cambodia, India, Laos, Nepal and Sri Lanka endure poor living conditions and diets and are overworked, according to the animal welfare group World Animal Protection. The animals at Elephants World get good food and treatment for their physical ailments, but the music is an extra, special treat they appear to love. Several times a week, British classical pianist Paul Barton, 57, sets up a piano against a backdrop of forested slopes and plays for his four-legged friends. "Maybe some of these blind elephants get a little bit of comfort from hearing pieces of soothing classical music occasionally," says Mr Barton, who studied at London's Royal Academy of Arts. Lam Duan approached Mr Barton as he began to play and she appeared to calm down and focus on the music. At another music session, several elephants seemed to move their heads and move about in front of the piano as the notes flowed. The owner of the sanctuary, Mr Samart Prasithpol, 44, said the music seemed to provide the elephants with some special comfort. "We work here to rehabilitate the elephants physically," Mr Samart told Reuters. "The use of music has been useful in rehabilitating their soul," he said.